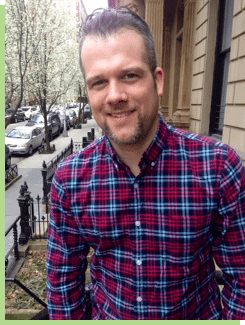 Fletcher Poret is a certified New York State Teacher who has been working as a private teacher and learning specialist for ten years, in New York City and San Francisco. With a background in both writing and education, Fletcher first started a private tutoring business called Lotus Writing Tutors, while managing the University Writing Center at The New School University. He worked exclusively with college and graduate students, helping them with research, idea development, organization, language arts skills and persuasive writing. Feeling a strong desire to reach a broader group of students and to help at more integral stages of educational and intellectual development, Fletcher began working with middle and high school students. As he prepared an increasing number of students for SAT and ACT tests, NY Regents, as well as many other standardized tests, Fletcher found that a blend of traditional strategies coupled with his own original techniques produced better and better results, the more he trusted his intuition and his aptitude for understanding each students idiosyncrasies. It was around this time that Fletcher was given the opportunity to contribute to the writing of a study guide titled, LD SAT. This book offers test preparation strategies for students with learning disabilities and all different types of learners. This book has become a very important resource and inspiration as time has passed. Fletcher has since perfected comprehensive evaluation strategies, as well as collected and developed a wide range of resources to establish an effective tutoring plan for each new student. Fletcher has worked with several different tutoring companies in New York City that specialize in students with learning disabilities, the most significant being EBL Coaching. Fletcher has also worked as a homeschool teacher for the several school years, helping students to reach success in all subjects and to regain confidence in themselves, as well as the school system. With the highest respect for the process by which a student is evaluated and an educational plan is designed, Fletcher has made this a top priority of MY LD TUTOR. Each new student that begins one-on-one tutoring is interviewed and immediately assessed for strengths and weaknesses in each academic subject and proficiency with regard to executive functioning skills. Each tutor hired is very experienced, trained in the evaluation process and in using all the core resources. We look forward to helping you achieve success at MY LD TUTOR! Fletcher Poret has been working as a private teacher and learning specialist for ten years, in New York City and San Francisco. With a background in both writing and education, Fletcher first started a private tutoring business called Lotus Writing Tutors, while managing the University Writing Center at The New School University. He worked exclusively with college and graduate students, helping them with research, idea development, organization, language arts skills and persuasive writing. Feeling a strong desire to reach a broader group of students and to help at more integral stages of educational and intellectual development, Fletcher began working with middle and high school students. As he prepared an increasing number of students for SAT and ACT tests, NY Regents, as well as many other standardized tests, Fletcher found that a blend of traditional strategies coupled with his own original techniques produced better and better results, the more he trusted his intuition and his aptitude for understanding each students idiosyncrasies. Bills are always sent by email unless requested by regular mail. Bills are sent every 2 weeks. Pre-paid packages are available for a discount. Automatic payments can also be arranged. All bills must be paid within 10 days. We do our best to accommodate all of our students scheduling requests; however we cannot always meet exact needs immediately. Our tutors try to be as flexible as possible and appreciate reciprocity when possible. Myldtutor offers consultation for all academic subjects and issues. In line with our philosophy that all students learn differently, we offer consultation to parents/guardians and students, to help promote effective study habits, develop and employ strong executive functioning skills and ensure that all students are addressing their learning differences or disabilities. We believe that each individual student has a unique way of learning, meaning that strengths and weaknesses academically, cognitively and emotionally play a key role in the way they learn. Taking each aspect into account, we do our best to advise everyone we work with or speak to. If you need a consultation for your child or yourself, please don't hesitate to call to set one up. Any other questions can be submitted by email and will be responded to promptly. Rates vary depending on service and the length of commitment. Although any tutoring relationship can be amended or terminated at the client's request or in the event of incompatibility, a commitment to an extended period of regular tutoring is honored with a discount from the base rate for one hour. Please contact MyLD Tutor (646-692-9609) or myldtutor@gmail.com for specific rates and details. When searching for the private tutor that can best reach and effectively teach your child, there are several important questions to ask. How do I find the right tutor my child? When searching for the best tutor for a student, one is often faced with a variety of options, such an online tutor database, a franchise, boutique or a large tutoring company. While a great tutor can be found from any of these sources, it is only the most effective tutoring companies that spend the time to find the best possible match for each student’s unique academic needs. In our experience hiring tutors, we have found that the best teachers are not always the ones who believe they are, who have the most credentials or highest academic prestige. Rather, it’s the tutors who actually really care about their students and who are willing to spend the time to figure out exactly how each student learns and what they need to succeed. At MyLD Tutor, we use a variety of materials, incorporate strategies from many different sources, and spend the time to share with each other and discuss what works and what doesn't with different types of learners. What makes MyLD Tutor different from other tutoring companies? The difference between mass tutoring companies and my company is that we only work with very experienced tutors who can evaluate learning styles, as well as strengths and weaknesses, before developing an individualized plan for each student. While a couple of my tutors got their start with a larger company, none of us follow any specific program as we firmly believe there is no one-size-fits-all program. Companies that supply a large database of tutors offer a very wide range of experience, training and subject or test proficiency. In fact, these companies actually encourage prospective tutors to join by advertising it as a great place to build experience. That said, it is very unlikely that any new tutor would present him or herself as inexperienced; instead, it leads to the presence of both completely unqualified tutors, as well as smart people who can teach, but don’t know the necessary strategies, techniques and shortcuts to help all students really succeed. What kind of tutoring company is MyLD Tutor? Our company falls into the class of a boutique tutoring company, which is typically the most expensive. The reason that we remain at the lower end is because we have little interest in only serving the upper crust of our city. We would much rather have the flexibility to work with as many students who need help as possible. How does MyLD Tutor determine what my child’s academic needs? In order to find a tutor that best addresses a students’ needs, it is essential to provide all available information regarding strengths and weaknesses, learning differences or disabilities, comments or concerns from teachers, test-taking history, and any recent neuropsych evaluations. Providing this type of background information helps us to match each individual with the correct tutor and assists in developing a comprehensive plan with the appropriate material. What can I do to help my child get the best out of their experience? Setting realistic goals for what one wants to get out of one-on-one tutoring is an important step. With so much competition in schools today, there is a lot of pressure to perform. As students prepare for admissions, exams, and scholastic awards or push for higher class ranking, AP test scores, or any other distinction, tension can generate stress and interfere with appropriate manageable goals. Therefore, it is critical that there is clear communication between parents, students, and tutors. My daughter was diagnosed with a learning disability at the age of three. She has spent her entire academic career in a school for students with learning disabilities. I was told over and over again that "LD kids don't do well on standardized tests." Although I was prepared to accept any outcome, I wanted her to try her very best and not give up before she even tried. Fletcher worked with my daughter on an off for about ten months, spanning the two ACT tests that she took. She did better than expected on the first test and improved her score even more the second time around. Fletcher is a dedicated, patient and talented teacher. He really connected with my daughter, understood the nature of her disability and knew how best to help her. My daughter worked hard and so did Fletcher.....and together they got results. I could not have been more pleased and proud! My daughter desperately needed help with Math. Her High School gave me contact information for "My LD Tutor". She had worked with tutors in the past, with mixed results. I was skeptical but she needed help, so I set up an appointment. Fletcher Poret called me back immediately. I was impressed by his kindness, sincerity, and concern for my daughter. He hadn't even met her yet! Most of all, I was impressed with the information he provided about the "My LD Tutor" program. This Fall, my daughter is off to the college of her choice, having made it through the process relatively unscathed. I am very grateful to Fletcher in particular- as well as the "My LD tutor" program in general- for giving my daughter the tools she needed to do well. I would highly recommend the program. My son and I have had a truly wonderful experience working with My LD tutor. After an evaluation, we were placed to work with a wonderful young man, who is a skilled teacher and great at connecting with and understanding my son. My son’s grades have improved and his teacher’s have noticed major improvement in his confidence. I am very pleased and grateful to have found this company. We are very pleased with myldtutor. Fletcher matched our son Charles with a tutor that was very motivating, and a great influence overall. They worked together to create a plan for studying and staying organized that has been very helpful! Fletcher Poret continues to be an invaluable tutor for our daughter, Phoebe. As a high school teacher myself, I know the importance of teaching to the student’s learning style in order to make real progress. From day one, I saw that Fletcher was a skilled observer of how people learn. He builds on Phoebe’s strengths with study skills that suit her own abilities. Over time, I’ve watched him choose from an expansive repertoire of methods. He is an expert at boosting confidence through the most pragmatic means possible. I chalk up these successful high school years to our daughter’s work with Fletcher. Fletcher was a great tutor, not only because he knew how to teach but because he was also very personal. He taught me skills that I never thought I had before. I was scared to take the ACT, but he calmed me down. Since every session he worked on a different skill, by the end I knew how to conquer the test. I did very well on the ACT because of how he taught me in clear ways. Fletcher was amazing and I recommend him to everyone. When I first started on MyLD Tutors, I was apprehensive if some one so much as asked me to show my work, plan a assignment, or work with another to edit an assignment. Now, I'm able to not only let others edit my work and make planning pages, but also work with others on long assignments. There is a fundamental flaw in the United States’ quest to provide the highest quality education for the largest population of students. This goal is idealistic in that it doesn’t consider the reality of a wide-ranging student needs, implicit in individuals having different learning styles, life experiences, opportunities, encouragement and self-esteem. 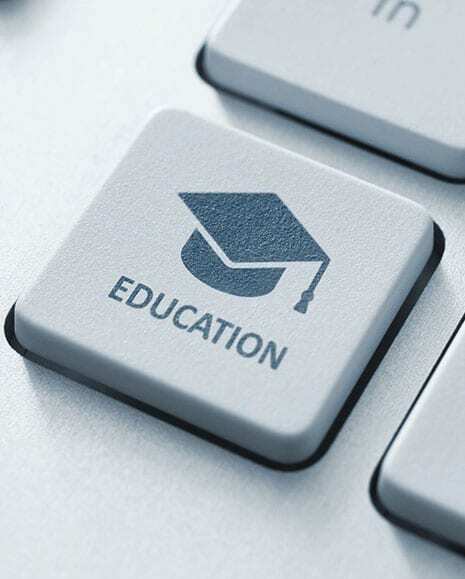 More importantly, by seeking quantitative data that indicates statistical success in educational initiatives, the actual quality of education remains unexplored. Meanwhile, to reach this pacifying information, standardized evaluations for academic subject and core skill proficiency are carfully created with objective of generating the desired results. How this affects the individual student and what is taught in the classroom, is recklessly overlooked. One of the most pervasive problems built into our modern standard for high quality education is the incessant search for an ideal academic model for specific subjects, test preparation, and core skills, such as reading and writing. Nearly all of the established teaching paradigms published academic material or teacher resources seek to successfully engage an ever-increasing population of students. In other words, rather than endorsing an educational system that promotes use of materials and lessons that accommodate the diversity that exists in students’ lives - personal background and experience, learning-style, processing speed and executive functioning skills - the focus continues to be on designing materials and teaching patterns to maximize usefulness. Of course, for those students who have trouble with the structure, language, context, pace of a required text or typical lesson plan, options become bleak: a specialized or remedial class, sacrificing extracurriculars for after school help, or expense private tutoring. Furthermore, these solutions are largely dependent on advocacy and access, so without some sort of investment to secure the best support and encouragement for an individual, far too many students end up feeling ostracized and quite literally, have limitations put on their aspirations. This systemic problem in modern education in the United States is not about the teaching philosophy employed within a school or classroom - such as student centric vs teacher-centric or student-teacher ratios or even the lack of equality in classroom spaces and resources, rather it has to do with lack of respect society has granted to teachers. Educational reforms tasked to measure and improve student outcomes end up holding teachers accountable for students performances, making it difficult for passionate, creative and influential teachers to have the time and freedom to be as impactful as they can on each individual. Student success, and therefore teacher success, is dependent on dedicating a potion of classroom time to preparing students for some sort of assessment that does little more than limit good teachers and discourage some students, for misleading statistics. Private schools offer more individual attention for students, but the educational philosophies are oftentimes more traditional, meaning teacher-centered deliver to students as the recioevers of information. This model inherently lacks support for those individuals who have learning or processing styles that differ from the traditional norm. Progressive schools that place more value on learning from experience, critical thinking, personalized learning, collaborative problem solving, are great in rousing passionate thinkers and social conscious minds, but oftentimes students can run into trouble when faced with standardized testing or traditional assessments in higher education. Finally there are excellent independent and private schools that are established to support students with learning differences. As incredibly helpful as these schools can be for individuals, they still alienate students and essentially label them as going to a special school. It is a well-established consensus that learning differences, processing styles, executive functioning skills, life experience, social and interpersonal skills rage widely among individual learners and present, quite literally, infinite diversity in terms of optimum conditions for reaching success academically. At the same time, technological advancements and integration of the internet in every day life, has created an interconnectivity and inundation of information that is both hugely beneficial and precarious for an individual. It has never been a more important time to learn healthy and efficacious ways to navigate this deluge of information, differentiating that which is helpful from distracting. It is essential that young minds learn how to do research and to survey sources with more vigilance than during the days of libraries and their catalogues. Its critical that our future leaders can evaluate the integrity and authenticity of information. This, like any well-executed planning, organization or studying in academics, requires discipline, well-established executive functioning skills and the ability to direct and prioritize attention. An ultimate self-reliance on these skills, depends on an individual understanding how they learn and developing a system to practice and refine over time. The truth is that without putting the time and effort into creating a system that allows for successful processing, managing and navigating of any academic assignment, exam or skill a student will not truly experience the autonomy and confidence to reach genuine success in higher education or life in the real world. © 2019, My LD Tutor. All Rights Reserved.